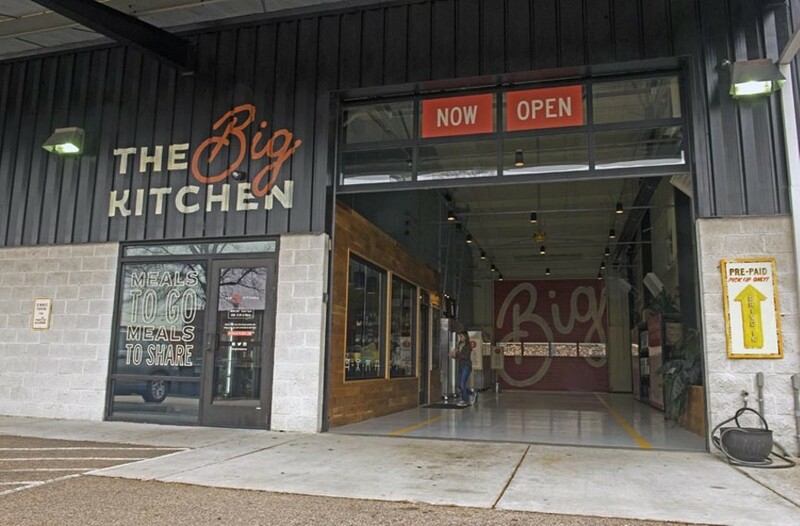 The Big Kitchen brings fresh, ready-to-eat meals to Scott’s Addition. Scott Elmquist For the ultimate convenience, the Big Kitchen in Scott’s Addition features a drive-thru. Weeknight dinners just got a lot easier. For the days you just don't have it in you to cook but you're not feeling takeout, the Big Kitchen offers something in between. Owned by the team behind Tazza Kitchen, this new concept is all about convenient food that requires minimal preparation. The process is simple: Visit the Big Kitchen website, order from an extensive menu of entrees, sides, salads, soups, pizzas and party platters, set your pick-up time and retrieve your food accordingly. There's even a drive-thru option, and delivery will be available soon. "We were really intrigued by this idea of prepared meals," says co-owner Susan Davenport. "We all like to cook but we just don't have the same time during the week. We wanted to focus on meals that were really good recipes, made from scratch with good ingredients, and this idea of things that translated really well to transporting home." Some of the best restaurant meals out there simply don't travel well, and no matter how appealing it is when it's piping hot, it could be a textureless mess by the time it makes it to your dining room table. The chefs at the Big Kitchen make everything fresh daily, and it all hangs out in the fridge or freezer until pickup. Some items, like the wood-fired pizzas or dishes with shrimp, are only partially cooked ahead of time so that the extra minutes in the home oven don't send them into overdone territory. Other things like the meatballs (yes, the same ones served at Tazza), red skin mashed potatoes, soups and barbecue are fully cooked and able to be reheated. Everything comes in oven- and microwave-safe compostable containers with heating instructions attached. And if you're really in a bind and didn't even have time to submit an order online, there's a limited selection of grab-and-go items available inside. Next to a small cooler of beer, wine and sodas are several shelves packed with containers of pimento cheese, fresh salads, pasta entrees and condiments. Davenport says both the online menu and market selection will rotate pretty regularly, and they're already adding new items after only a couple weeks of operation. The warehouselike building also includes a test kitchen for the chefs to experiment with new recipes, office spaces and a smokehouse that serves all their restaurants. Mondays - Saturdays 11:30 a.m. - 7 p.m.
Sundays 11:30 a.m. - 4 p.m.